Our start time was 7:30 am. It was cold and I do not like cold! I found it hard to get going. The road was up and up, then down and up. It was a really hard 100 km, seemed almost like a second ride through the Rockies. 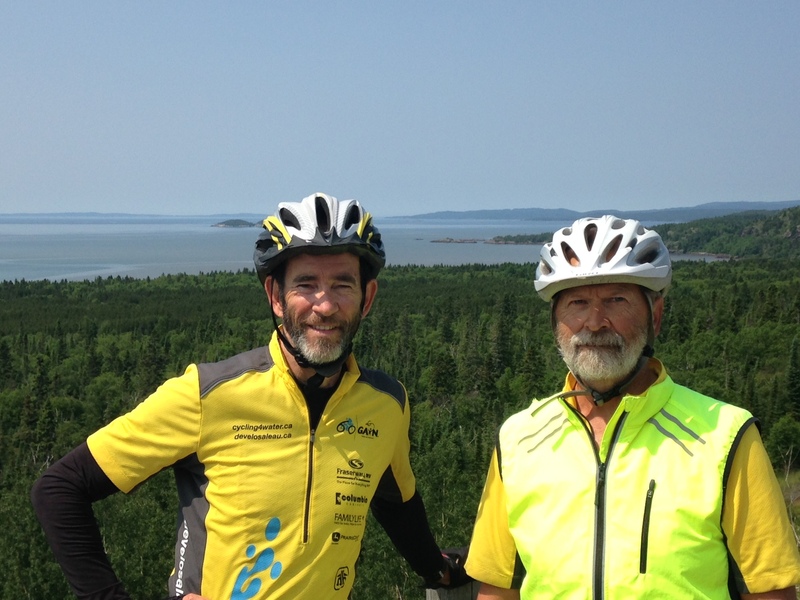 We renamed the road from Thunder Bay to Marathon “The Second Great Divide.” It was a beautiful ride. Here’s one of the last glimpses of Lake Superior. Days like today make me glad this is not a solo experience. Sure is nice to have a team for encouragement and strength. Once we got to Marathon the road leveled out and bonus, we had a wind at our backs! We had some great views. It was after lunch before it was warm enough to go without a jacket. Our overnight is in White River. 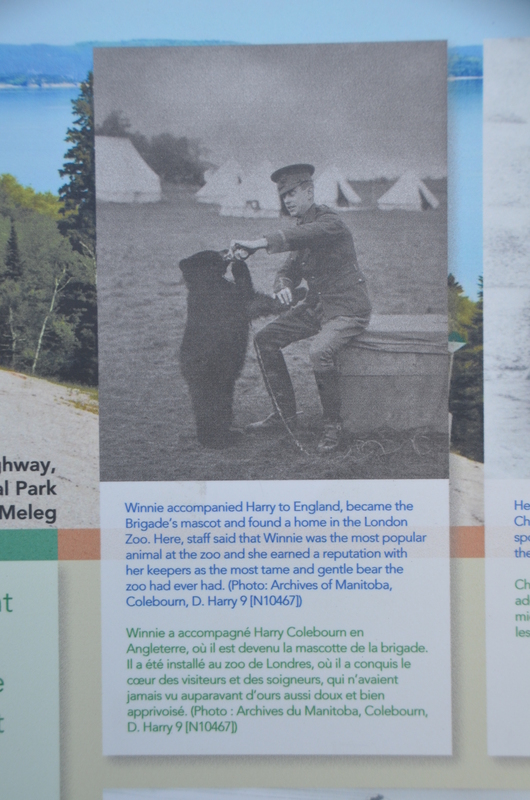 It is famous for the little bear that was taken from here to England by a Canadian soldier which ended up in the London Zoo. It was the little bear that inspired the Winnie the Pooh series written by A. A. Milne. Yesterday and today were both 12 hour days of riding. We are all tired but in good spirits. My neck of the world. I worked in Marathon My father worked in White River.& grew up in Wawa. Stay safe in the ups & downs in the highway.